James Powell Jones was an energetic and enthusiastic antiquarian known for his archaeological and historical research. Born in Tettenhall on the 25th of February 1857, he spent his early years in Newbridge Cottages. His grandfather, Richard Jones, a gardener from Worfield in Shropshire, married Elizabeth Powell from Shifnal. His mother, Pamela Jones, was christened on the 9th of December 1835 in St. Peter’s Church, Wolverhampton, but died when James was a young boy. James P. Jones was rumoured to be the illegitimate son of one of the Wrottesley heirs and bore a remarkable likeness to Lord Arthur Wrottesley. His christening, marriage and funeral took place in Tettenhall’s Church of St. Michael and All Angels. On his baptism and marriage records his father’s name is noticeable by its absence but the Wrottesleys kept in close contact with him throughout his life and it is said that they paid for his education. George Wrottesley, the second son of Baron John Wrottesley, was a veteran of the Crimean War. He had no children from his marriage to Sir John Burgoyne's daughter, Margaret. James became his protégé and was given unprecedented access to the Wrottesley archives. George and James were both interested in the military and both set up archaeological societies of their own. While George was instrumental in founding the William Salt Archaeological Society and was a military historian, James, a local historian, founded Wolverhampton Archaeological Society. In 1923 James published a History of The South Staffordshire Regiment. He had been a member of Tettenhall’s Volunteer Regiment (M Company, Third Battalion). 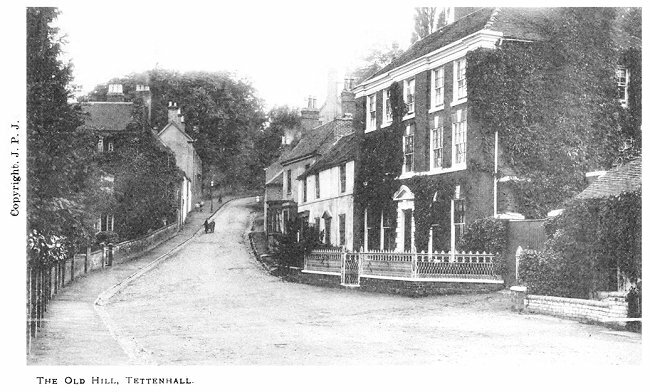 James’ first school may have been in Tettenhall village. The school rooms were built to replace classes held in the church vestry. As he grew older, he continued with his studies and became an accomplished scholar. Old exercise books in which he pasted news cuttings of local interest show that he wrote Latin. In an article on Tettenhall Church he described how he produced his own translation from the old contracted Latin of the Rolls. The 1881 census for Tettenhall shows James Jones aged about 24, living in Waterworks Lane with a cousin, Richard Simkins, thirty years his senior. By 1883 James was putting on performances for Tettenhall’s Amateur Dramatic Society. Not only was he stage manager but he took a leading role in the productions. Amongst the cast was a certain Miss Farnall. On October 5th 1886 James married this budding actress whose name was Rose-Anna. Her grandfather, William Farnall, came from a race of sturdy local Yeomen. William could remember Tettenhall Wood as a great open common ‘luxuriant with gorse, hazel and blackberry bushes’. Rose-Anna’s grandmother, Ann Farnall (nee Rodes) was the last representative of an old Shropshire family from Condover near Shrewsbury, and had been a landowner in Tettenhall Wood in 1793. After their marriage James and Rose-Anna lived in Walsall for a short while. In 1888, their only daughter, Rose, was born and James proudly recorded details of her christening in St. George’s Church. By 1891 James and his family had returned to live in Tettenhall where he and his wife were still actively involved in the local dramatic society. James was also a keen churchman and became a member of the vestry committee. In addition to history and archaeology, James was interested in photography. He sold his photographs commercially and also produced postcards of local scenes. In 1887 he recorded Tettenhall’s celebrations for Queen Victoria’s Jubilee. In 1890 James gave his first lecture on the history of the village to a very receptive audience in the Drill Hall situated in Old Hill. We have received a prospectus of a forthcoming history of this parish by Mr. James P. Jones of Lime Road, Tettenhall, to be published by subscription in the course of a few weeks. The work will contain copies of many historic and ancient deeds, a complete record of the various manors, an exhaustive account of the church, and many details of family history. There will be many illustrations and the frontispiece will be a charming etching of Barnhurst by that brilliant etcher, John Fullwood, R.B.A. We have seen a proof of this etching, the execution of which is masterly. These parish histories often contain valuable matter not easily accessible elsewhere, and , as the cost of producing them is generally out of proportion to the demand for them, their authors have something like a claim on those interested in local antiquities, genealogy etc. James P. Jones and the Wolverhampton artist, John Fullwood, were contemporaries whose mutual goal was to record the area before it changed irrevocably. Their friendship went beyond their commercial transactions. Three years previously, John had given James a personal invitation to his December exhibition in Burlington Chambers, New Street, Birmingham. From the 1913 Wolverhampton Red Book. Meanwhile James’ daughter, Rose, was growing up and showed every sign of inheriting her father’s love of history. Photographs show her accompanying her parents on Wolverhampton Archaeological Society's famous excursions from a very early age. Rose-Anna and Rose not only compiled the indexes for James P. Jones’ books but also wrote articles on local history for Alfred Webb’s Annual. James and Alfred encouraged women to have a voice. Rose, a teenager when she wrote the articles, became very involved in the Society. She and her mother helped to preserve its memorabilia in three huge and detailed scrapbooks of lectures, events, membership fees, accounts, obituaries, musical evenings, and excursions. These outings included taking a charabanc from Cleveland Street, visiting places of interest and talks from various members and guest speakers. These events always included lunch or tea. The excursions for 1895 were to Weston Park, where a paper was read by Revd. C. Callow, of Whipton, on “A Visit to Wharfedale”, and to Tettenhall Towers, where the paper was given by Mr. G.T. Lawley on ‘Dialects of the District. His lively humour was much appreciated. A page from the manuscript that was presented to James P. Jones in 1926 by the Wolverhampton Archaeological Society. Wolverhampton Archaeological Society may have been founded in 1890s but the story did not begin there. John Elliot, born in 1832, started his career as a compositor in the office of The Wolverhampton Chronicle. He was on the committee of the Wolverhampton Temperance Society and was one of the oldest members of the Chillington Lodge of Oddfellows. Wolverhampton already had an exclusive, privately funded subscription library and there was huge opposition to the idea of a Free Library as it meant an increase in taxes. However, people had not reckoned on John Elliot’s remarkable drive and energy. A Free Library Pioneer, he represented Wolverhampton at National level as one of the earliest members of the Library Association of the United Kingdom. John devoted much of his spare time to improving educational facilities for Wolverhampton’s population. This drive for a more inclusive society lay at the heart of many of Wolverhampton’s Educational ventures. The Free Library became so popular and grew so rapidly that a new building was built at the corner of Garrick Street and Cleveland Road. John, a Fellow of the Royal Historical Society, also helped to establish the Working Men’s College in the Old Grammar School Building in John Street. However, it closed through lack of support. Evening classes began in 1874 connected to the thriving Technical School which John Elliot also supported. The author of John Elliot’s obituary recorded that The success of the present Technical School is a sufficient answer to those who are prone to take a pessimistic view of Wolverhampton’s outlook. John Elliot also established Saturday evening lectures and concerts at the library in Garrick Street. In 1876, in conjunction with Mr. W. Hutchinson, he started a Natural History and Archaeological Department. This was the seed for Wolverhampton Archaeological Society. In his retrospect James P. Jones recorded that; Some years ago previous to 1885, a Naturalists section was attached to the Wolverhampton Free Library, this owed its inception to the late John Elliot, who was librarian for over 40 years. In the early eighteen nineties, for reasons it is not necessary to recapitulate, the members dissolved and the naturalists section ceased to exist. I had about this time advocated in the public press, the need for a local Archaeological Society, but without any result, until the late Alfred Webb, a printer of Wolverhampton came to me in the early summer of 1895 and asked me to help him to start a Society from the remnants of this old Free Library section. Another page from the manuscript that was presented to James P. Jones in 1926 by the Wolverhampton Archaeological Society. Membership remained affordable for when the Midland Institute was charging a guinea membership, Wolverhampton Archaeological Society’s fees remained at three shillings. When the preliminaries had been arranged, a meeting of supporters was called by Mr. A. Wells, at St. John’s School Cleveland St. when the formal resolution founding the new Society was unanimously passed under the title of the Wolverhampton Naturalist and Archaeological Society. I took exception to the word Naturalist pointing out that some of the members of the Free Library Section had already formed a Naturalists Field Club – and that it was likely to cause confusion-but I was overruled and this cumbrous title was passed. James undertook various roles from vice-president, to president, chairman and treasurer.  He enjoyed art and won an award for his black and white design of “Totenhalem” in the Studio Competition of 1896. He frequently used his own photographs to illustrate his newspaper articles, books and reports of excursions. In 1897 he helped to form a photographers’ section and many photographs illustrate the Society’s life over a period of forty years. Sadly, James’ co-founder, Alfred Webb, died in 1903. Wolverhampton Archaeological Society had been established for only eight years, but by this time, it was well supported and was able to continue. James followed articles on local history published in local newspapers and pasted them into a series of notebooks. In particular he followed articles by another historian, Frederick W. Hackwood. Interestingly, Frederick Hackwood collected articles written by James P. Jones. In 1906 James P. Jones published the story of St. Michael and All Angels Church, Tettenhall in The Wolverhampton Journal. In the proof copy of his book Heart of the Midlands. The Official Guide to Wolverhampton and its Surroundings (also published in1906) he wrote that, as the industrial history of the area had previously been covered by other historians his book would concentrate on more neglected aspects. He covered topics such as Free Libraries, Grammar Schools, hospitals and churches of all denominations and gave details of possible tours of the area. In 1908 he wrote an article commemorating Oscar Gustav Rejlander, Wolverhampton’s pioneer of early photography who died in 1875. A final page from the manuscript that was presented to James P. Jones in 1926 by the Wolverhampton Archaeological Society. Surviving evidence of Wolverhampton Archaeological Society’s excavations is quite scarce. However, there are clues, often found in newspapers. 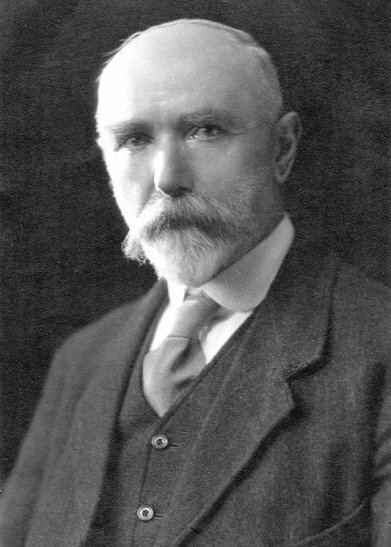 A close and longstanding connection existed between James P. Jones and Sir Charles Hyde, the keen archaeologist, sponsor and proprietor of the Birmingham Post. Reports from various local papers show that there were investigations at Wrottesley, Pennocrucium and Wall. James was very interested in the story of ‘The Battle of Tettenhall’ and hoped to lead an excavation party. In 1904, when Wolverhampton Archaeological Society had been established for approximately nine years, he wanted to proceed with an excavation of the largest tumulus at Wightwick, which he had written about in his article 'The Bright Green Borderland' that appeared in the October 1904 edition of The Wolverhampton Journal. Sadly the excavation never happened. A lecture on the excavations and discoveries at Viroconium (Wroxeter) near Shrewsbury, was delivered to the Wolverhampton Archaeological Society on Saturday by James P. Jones of Tettenhall. The lecture was very comprehensive and was illustrated by a set of slides, some were of photographs taken thirty years ago, while others of quite recent date were shown by the courtesy of the ‘Birmingham Post.’ In the course of the lecture, Mr. Jones showed how the modern safety pin was on the same principle as was used by the Romans in the first and second centuries. That sort of thing should make people love history in a real historical sense, because of the actual accomplishments of those distant ages. They were hopeful that the investigations now proceeding would throw some light on the sudden destruction of Viroconium. 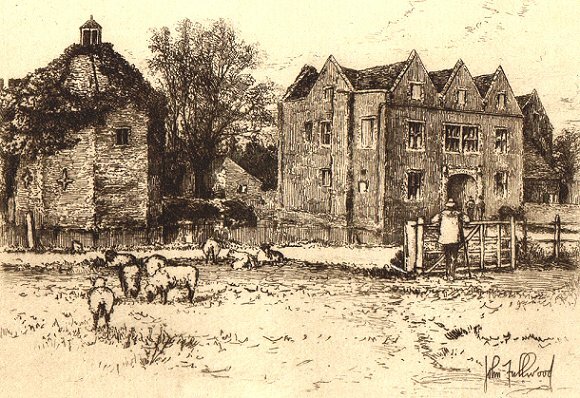 He pointed out that only one third of the site had so far been excavated, and alluding to a comment of the lecturer that a portion of the land could not be secured because it was under cultivation, described it as monstrous that the grazing of sheep should take precedence over such work as the exploration of an historical town like Viroconium. The President of the local Society, Mr. Gerald P. Mander was in the chair and the suggestion was made that similar lectures to a wider public might be arranged to stimulate general interest in the subject. In 1926, after a bout of ill health, James P Jones stepped down from office. In his farewell speech he gave an address which included a retrospect of Wolverhampton Archaeological Society’s activities and membership. He was presented with an illuminated manuscript signed by those associated with the Society. The names mentioned in his speech and the signatures on the manuscript represent a piece of Staffordshire’s history in their own right. 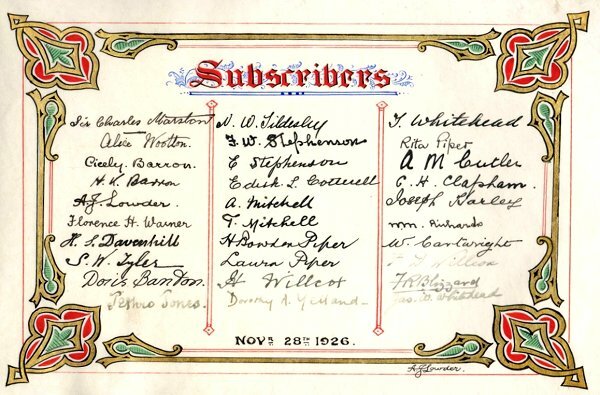 The names and signatures not only include historians such as W. H. Duignan, G. T. Lawley and Sir Charles Marston but also Gerald P. Mander and Norman W. Tildesley, people who played a vital role in recording the history of the area. At a time when women had just been given the vote (but only if they met certain criteria) schoolmistress and newly registered voter, Helena Herboldt, signed as chairperson. Several other female members were teachers. One of James P. Jones' photos, on an old postcard. Will you please convey to all the members my sincere and grateful thanks for this splendid recognition of such services as I have been able to give to our Society; I feel it is more than I deserve. I shall always regard the Album as one of my greatest treasures. It will serve to remind me of many happy days, and pleasant companions, upon which I can look back with pride and thankfulness; and when I am gone it will remain a treasured possession of my family. My only regret is, that my long and: serious illness has prevented my being with you, but it is a great joy to me to know that our Society is so ably controlled, and that its continued progress and prosperity are assured. A few months after writing this letter, James died. His death on January 16th 1927 occurred shortly before his seventieth birthday. He was buried in Tettenhall churchyard on January 20th where the service was conducted by the minister, Wilfred Goode. Obituaries were published in the Wolverhampton Express and Star and in the Tamworth Herald. An account of his funeral at St. Michael and All Angels, Tettenhall, taken from the Express and Star, 21st of January 1927, states. The body of Mr. James P. Jones who wrote a history of his native village of Tettenhall and founded Wolverhampton Archaeological Society, was laid to rest this afternoon in Tettenhall Churchyard and many friends and former associates attended to pay a last tribute to his memory. Many members of his wife’s family were amongst the mourners and coffin bearers. The nameplate on the coffin was inscribed: “James Powell Jones, born February 25th, 1857, died January 16th, 1927,” His grave was lined with bracken. The intrepid and indomitable Helena Augusta Sophia Herboldt attended the funeral together with Miss Florence Thorneycroft, who by then had become a Staffordshire County Councillor. Mr. A. J. Hardiman represented Tettenhall School where, as its Honorary Secretary, James had attended prize giving and had donated many of the awards. James’ fellow author and historian, G. T. Lawley, was also present. The President of Wolverhampton Archaeological Society, Gerald Mander sent his apologies. There were floral tributes from James’ wife Rose-Anna, his daughter Rose, members of the Farnall family and The Honourable Walter Bennet Wrottesley. 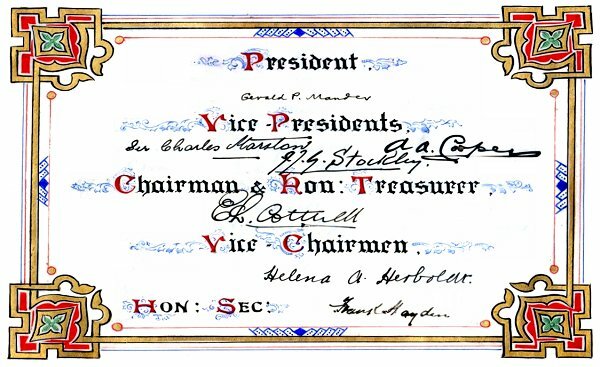 Sir Charles Marston was also represented as was The Tettenhall Primrose League, Cannock Conservative Associations, and The Commercial Travellers’ Benevolent Institution (of which James had been a board member). The badge of Wolverhampton Archaeological Society, the Saxon pillar in St. Peter’s Churchyard, was worked in violets on a background of white chrysanthemums. His farewell was a fitting tribute to a man who had devoted his life to recording and championing the area he loved. JPJ/F Jones J.P., ‘A Retrospect’ Handwritten notes for a farewell speech given by J. P. Jones to Wolverhampton Archaeological Society 1926 (a copy is in Wolverhampton Archives & Local Studies). 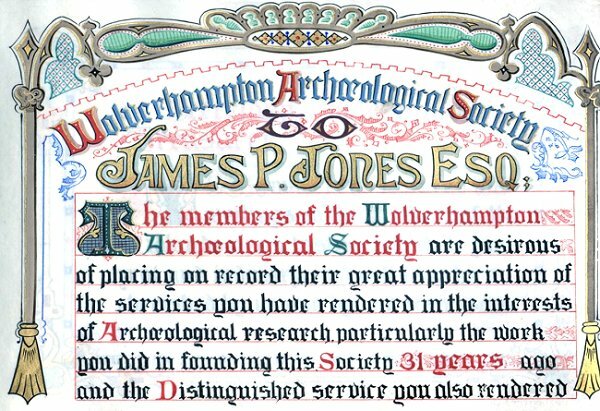 JPJ/F Jones J.P., Illuminated manuscript presented to J. P. Jones upon his retirement from Wolverhampton Archaeological Society, 1926 (a copy is in Wolverhampton Archives & Local Studies). JPJ/F Jones J.P.., Letter of thanks to Frank Hayden, Hon. Secretary of Wolverhampton Archaeological Society, 30.11.1926 (copy in Wolverhampton Archives & Local Studies). JPJ/F Jones J.P.., A photograph of J. P. Jones, unsigned, but otherwise identical to the signed portrait photograph in Wolverhampton Archives (found in D-SO-14/2-4). A note on the reverse says that it was taken on Jones’ sixty-sixth birthday. D/JPJ/ 2 Jones, J.P., Book containing cuttings from various local newspapers, 1897. D/JPJ/ 3 Jones, J.P., Book containing cuttings from local newspapers and other newspapers and other papers, 1902-4. D/JPJ/ 4 Jones, J.P., Book containing cuttings from various local newspapers,1884. D-SO-14/2-4 Wolverhampton Naturalist and Archaeological Society - scrapbook. D-GBM/20 This catalogue of chandeliers, hall lights etc. has been used as a scrapbook for newspaper cuttings and some handbills for events at Tettenhall Drill Hall. Much of it appears to have been compiled by James P. Jones. It contains the obituary of William Farnall, his father-in-law. It can be found in the George Bradney Mitchell collection in Wolverhampton Archives and Local Studies. LS/1241 Antiquarian historians of Staffordshire and their contribution to the development of the history of Wolverhampton and its environs between 1868 and 1951. Tettenhall - The Bright Green Borderland. October 1904. Tettenhall Church, Past and Present. September to November 1906. O. G. Rejlander. March 1908. The Bicentenary of Dr. Johnson. October 1909.